We are trying to make room in the freezer. While looking through the contents of the freezer I noticed an older package of chili-grind ground beef. Just regular ground beef set on a coarser grind setting. Since we are planning on having pasta with tomato sauce tonight for dinner, I just extended the ingredients a little farther and made a beef sauce. It turns out pretty well. Plus there is enough left over for a lunch! I forgot to take a picture but I found one on the internet that looks very similar to our dish tonight. 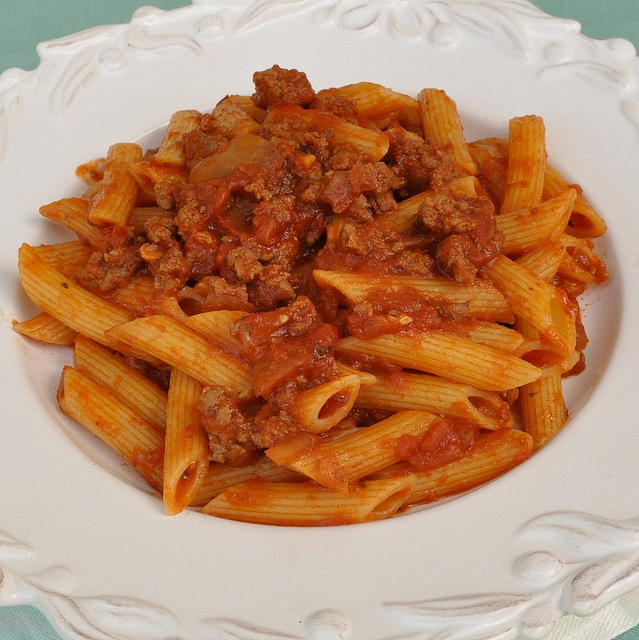 This entry was posted in Uncategorized and tagged diet, ground beef, pasta, penne. Bookmark the permalink.